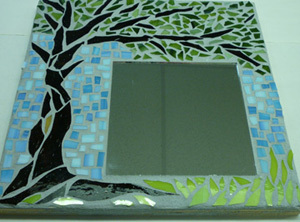 This is a great class to get started with mosaics! No previous skills necessary. Students will have a choice of an interior 12" square board or a 8" by 16" paver stone. 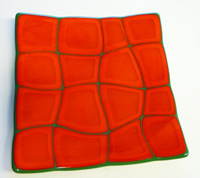 You will learn how to use mosaic nippers, all about adhesives and grouts and ideas on how to deign your project. We do have glass numbers available to create an address stone if you choose. The numbers are not included in class fee. All other materials are included.